The following article was written before the recent referendum in Venice and Lombardy. It remains relevant as far as, everything happening in Europe those days is becoming, more a more, a manifestation of extreme social “egotism”, of generalized destruction of any form of solidarity and adherence to more general projects. This is especially true after the strategic defeat and capitulation of the European Left on the Greek question. “Everybody for himself” seems to dominate the continent. It is the historic triumph of the neoliberal Europe, but it reminds somehow the triumphs of the cancer on living organisms. Europe will hardly survive it. 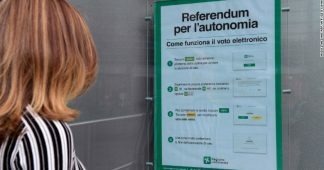 On Sunday the 22th of October two Italian regions, Lombardy and Veneto, will vote to ‘express an opinion’ about their ‘autonomy’ from the central government. 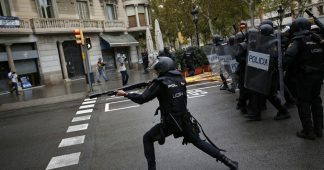 This has nothing to do with the conflict between Catalonia and the central Spanish government in Madrid, because the two Italian referendums are compatible with the constitutional precepts, while Catalan independence clashes with the current Spanish Constitution. However, it is clear that – at least in terms of collective psychology – a “contagion effect” is growing, and probably the turnout in the two Italian regions will be higher than it would have been normally. We will see the results when the polling stations will be closed on next Sunday evening (they will be open from 7 am to 11 pm). There are no political tensions because, as it has been said, everything is done according to the law. Obviously, there are different opinions about it, but the public debate seen in the press and on the local TV channels has remained within a civil exchange of ideas. The Venetian Regional Law requires the poll will be valid if it is attended by the 50% plus one of those entitled. Yet in Lombardy, a valid quorum is not required. Nevertheless, in both cases, much importance will be given to the turnout. 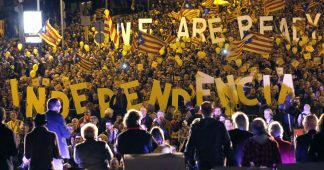 This will be the best criterion – among all the others – to show how much people living in those two regions are interested in an enlargement of autonomy. 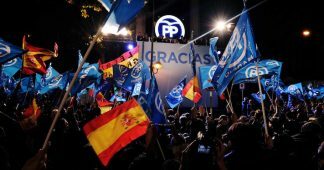 It is quite sure that in both regions the people will choose “yes” for the autonomy, because the large majority of those who will go to vote represent those who really want it, while the dissenters – or those who are indifferent to the subject – will not waste their time going to the voting stations. This means, again, that the number of voters will determine the political outcome. This political outcome will be the starting point around which the next Italian government will have to negotiate with the two regions about the terms of the autonomy. And then, probably, we might have some tensions. We will see. The promoters of each election are those coming from the Northern League or emerging from the new separatist movement that is now over twenty years old. Veneto’s governor, Luca Zaia, has left behind the Northern League he came from and now he’s representing only himself and his followers. Yet, he is the real driving force behind this referendum and his undoubted popularity comes also from this political choice. He personally said that he expected “at least 80% of votes in favour”. That means he wants a real plebiscite. If it goes this way, Rome will have much more problems to sort out in the coming years, then. Quite different is the case of Lombardy, where the main engine is Roberto Maroni, the governor in charge. He is still a member of the Northern League party, now more than ever. Yet Italy will vote for the new parliament next spring and the Northern League is supposed to be in a coalition with Berlusconi and several other right winged groups. In case of victory, they will all become part of the next government. Such a government will surely give much more attention to the needs of the whole country, so Lombard autonomy will be inevitably placed in the background. 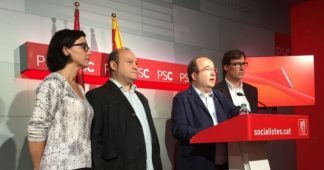 This, at the very least, will create rifts between the separatist and autonomist party members and the national party top officials. The main reason for the two elections doesn’t really regard solidarity. It is rather one of the many expressions of public dissatisfaction towards the central government, perceived as a source of corruption and unfair distribution of national wealth. Many people in the north think that the wealth created locally must remain local rather than be “squandered” and shared with the regions that “contribute less”. They are mainly referring to the southern regions, but they are also referring to the slogan “Roma ladrona” (“Rome is a big thief”), which was popular when the Northern League movement started its way and that has been recently refreshed by the events of “Mafia Capitale”: a huge investigation that revealed a vast criminal network of corruptions and political-administrative misconduct. It could be said that Northern Italy feels the same way as Northern Europe towards the Mediterranean Europe: a tendency that indicates a more or less marked lack of solidarity between all the European states, that are continuously facing the more and more frequent problems generated by the continent’s economic and political crisis. The European national egoisms are perfectly mirroring the regional ones. There is an element of truth behind these ‘egoisms’, something that was vehemently emphasized during the election campaign. 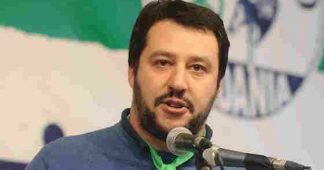 If you look, for example, at the central government spending on the infrastructures, you will see that from 2016 to 2020, ANAS will spend approximately 647 million euros for northern Italy out of the 23.4 billion euros of the national budget. In percentage, this is 3%, against 56% (13 billion) destined for the south. But if you look only at these percentages you will only open or reopen old polemics, never settled, between north, south, and center. It is well known that northern infrastructures are far better than those in the south and so rebalancing measures are really needed. These measures are also an integral part of the national solidarity politics of any state. At the same time, there are ‘border issues’ coming from the privileges that historically have been granted to the Trentino-Alto Adige and Friuli-Venezia Giulia, two special administrative areas. Their status and their tax exemptions have made the conditions of neighbouring municipalities very different. These differences have not been sorted out by the state funds given to the municipalities adjacent to the special administrative regions. It should be remembered, for example, that just ten years ago all the Venetian provinces asked to be annexed to South Tyrol. Yet ten years ago, the general situation was much better than today. But all these polemics about wealth distribution are nothing more than a symptom of a widespread discontent and will be sorted only through the concept of a ‘country’ based on solidarity, opposed to the current concept based on competition. * Giulietto Chiesa is one of the best known Italian journalists. He was Moscow correspondent for twenty years for “L’Unità” and “La Stampa”. He worked with all major Italian television channels, from the TG1 to TG3 and TG5 and is currently political analyst for major Russian television channels. He is the only Italian journalist to be repeatedly mentioned in the autobiography of Mikhail Gorbachev, whom he has repeatedly interviewed. He writes a blog for “Il Fatto Quotidiano”. His own blog is http://www.megachip.info/ . He is founder and director of Pandoratv.it web tv. An expert in international politics and communications scholar, he founded the political-cultural movement “Alternativa”. Among his credits there are some best-sellers such as “Endless War”, “Superclan” (with Marcello Villari), “Barack Obush” (with Pino Cabras) and the movie “Zero, an inquiry into 9/11”. He is one of the initiators of Sofia Club and of the Delphi Inititative. His new book, “Putinophobia” is to come out simultaneously in France, where the author was invited as a guest at the Paris Book Fair, and in Russia.